tipkin – How did the idea come about? What were the first steps? Maxim “Personal Light” Svetlichnyi – The idea came about as follows. Once in the beginning of the year 2009 I decided to check on the web – is there such a movement in music as Russian trip-hop. After studying a few forums and sites I stumbled upon releases by some less known bands (if I’m not mistaken they were Асфодель (“Asfodel”), Лирика Ватных Стен (“Lyric of Cotton Walls”), Kamio, Moresebya). To be honest – at that time I wasn’t impressed… I was expecting something different. But about half a year later I accidentally stumbled upon the album Кремировать дождь (“Cremating Rain”) of the same Kamio on my computer. Listened thoroughly. And realized that I was mistaken… The material turned out to be very interesting. The same evening I was digging through VKontakte* for a long time looking for trip-hop. Turned out, that there were quite a few acts out there… Маша Сальери (Masha Salieri), BBG, Kubrick’s Cube… All this came down on my ears right away. 🙂 And actually at that time the idea came to my mind that I wasn’t alone – lots of people would be interested in finding out about this movement. So I decided to create a group at VKontakte where one could systematize all the data about the musicians, links to releases, etc. This is how the community was founded by the name of “Appreciators of Russian trip-hop” which was later renamed into “Appreciators of Russian trip-hop and abstract hip-hop”. Every day there was more and more members. And what was the most pleasing, that the musicians joined the club (Masha Salieri was the first, huge thanks to her for that). A bit later I was joined by a volunteer – Макс Гущин (Max Gustshin), who made his contribution to the development of the club and became the second admin. A year later we got the third admin – the designer – Vix. 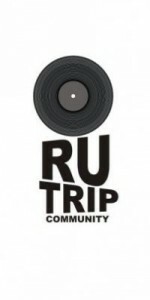 About half a year after the opening we renamed ourselves into Ru Trip Community. 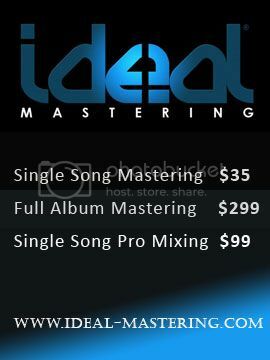 We wanted some participation, so we promoted the releases, shows of our musicians. 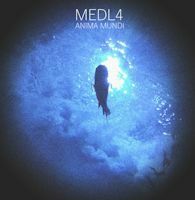 There was less of that later on, and as an experiment we decided to release our own compilation of domestic trip-hop. 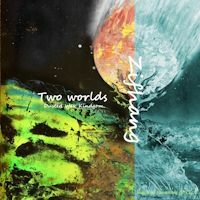 It was released on independent Japanese label Bump Foot. Vix – Actually I was watching the project from almost its very birth, and in the beginning it was really more like just a community where people are united by one common factor – love for the music. t. – Do you yourselves create/perform music? M.S. – I don’t think you can call that creating. 🙂 I’m trying to write some beats on Fruity Loops, but it’s very primitive and just strictly for myself. It’s definitely not going to be released anywhere :), especially not within the Ru Trip Community framework. t. – What are the biggest challenges you have to deal with? M.S. – There are various challenges. But the main, as usual, is the one – lack of money. If we had the funds, we could organize shows featuring musicians-friends of Ru Trip Community, release, even if with limited printing, CDs. RTC is a non-profit association, we don’t get any kind of money from it, and invest our own is not an option yet. V. – Um, well, out of difficulties that were getting in the way of particularly Ru Trip I would point out some lack of interest, especially in the beginning. The majority of people in modern society have a very narrow range of interests, and for some those interests are even imposed, therefore there are very stereotypical ideas about things that are not interesting for the society. They heard once from somewhere that trip-hop is a sad music and don’t approach it anymore, satisfied with scanty and degrading commercial material.